For all of you movie fans out there, this year's Taipei Golden Horse Film Festival has a lot to offer. 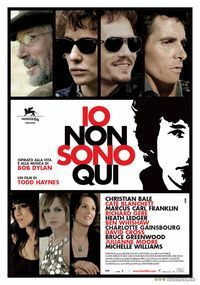 Not only will they show award-winning and other competing films from the Cannes, Berlin International, and Venice film festivals, but the Golden Horse will also show the foreign films that are up for an Oscar. Apart from director Ang Lee's "Lust, Caution", which proudly represents Taiwan's Oscar bid, the selection of foreign films includes work from 10 different countries. The Taipei film festival will showcase a variety of Cannes winners and participants. One film, "4 Months, 3 Weeks & 2 Days", by Romanian director Cristian Mungiu won the Golden Palm and Fipresci awards, and is said to be the biggest winner for the festival's 60th year. The story follows a college student who helps her friend arrange an illegal abortion in 1980s Romania. Next, Russian director Andrey Zvyagintsev's film, "The Banishment", won an award for Best Actor. The work explores the themes of family, intimate relationships, the unpredictability of life and the impact, both positive and negative, of a new baby in a family. 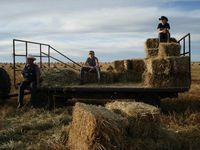 Another film by Mexican director Carlos Reygadas, "Silent Light", centers on a Mennonite community, a Christian denomination popular in northern Mexico. 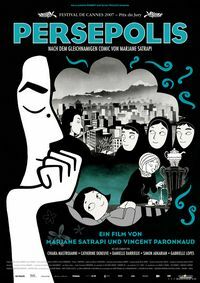 Finally, based on a graphic novel by Marjane Satrapi, the French "Persepolis" describes the narrator's childhood in Iran after the revolution. representing Israel is "The Band's Visit". Singapore's entry is "881", which uses local music to express the country's culture. The Argentinean "XXY" and Brazil's "The Year My Parents Went On Vacation" share a similar comic themes of teenagers and the years of innocence. "Jar City" is the film adaptation of the first book in an award-winning, Icelandic crime novel series by Arnaldur Indridason. "You, the Living" is a Swedish film that explores human kind--its greatness and its baseness, joy and sorrow, its self-confidence, anxiety, and its desire to love.